Introducing to you ! 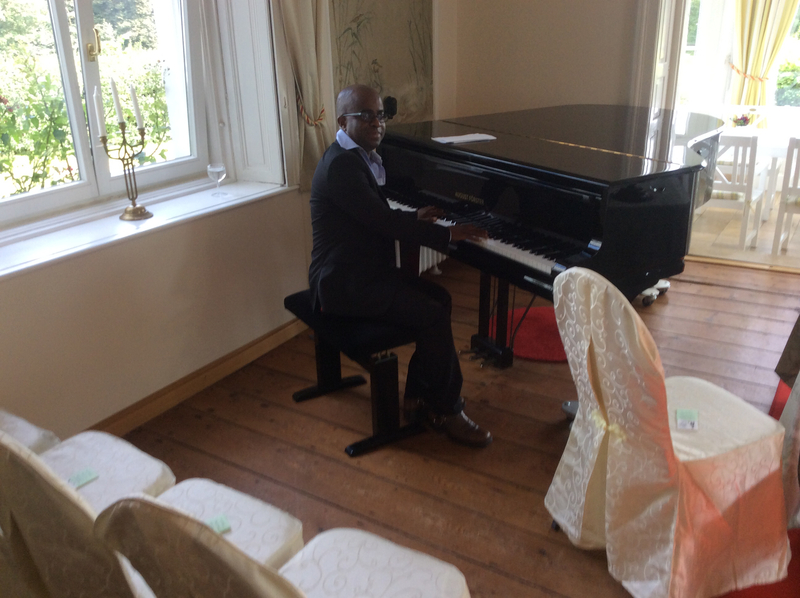 german-based Ghanaian pianist,keyboarder & Fender-Rhodes Player. Fabian is coming from Kpando Volta Region of Ghana . He is available to gig around the World. His Music directions are, Jazz, Swing, Blues, Latin-Jazz, Smooth Jazz, Bossa-Nova, High-life ,Salsa, Pop,Classic . Soca, Calypso .Gospel . Reggae & Many More. Fabian took 4 Years Piano course at VHS School of Music Kiel, Germany. He participated in ( 1998-99 Berklee College Of Music World Scholarship Tour Auditions ) Freiburg,Germany. Fabian is a Sight-Reader, Composer & Arranger Of many directions in Music. Back Home in Ghana , Fabian play with some Top High-Life Stars like C.K. Mann & A.B. Crentsil. He played with( George Darko & The Ghana Empire Band)(Caribbean Unlimited Band from Trinidad & Tobago)(Nana Acheampong)(Soulful Dynamics Band) Fabian played once with Jamaica Reggae Star Dawn Penn. He plays sometime with the German-Based Ghanaian Band Vitamin-X .